Ideal for recreational boaters, the 3D Tender Superlight Twi.. The 3D Tender Superlight Twin Air range was developed to pro.. Devised by boating enigineers, 3D Tender, to be both incredi.. In development for several years, the 3D Tender Superlight Twin Air range of dinghies offer the perfect fusion of incredibly light construction, durability and practicality. 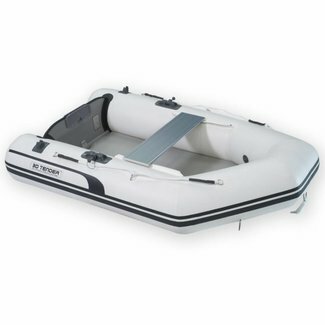 The perfect choice for recreational boaters, 3D Tender Twin Air inflatable dinghies offer ease of carriage via an adapted rucksack which is included in the package. This means you can literally take them anywhere when you are out adventuring whether you are in the car, on foot or cycling. Starting at just 10.8kgs the 3D Tender dinghies are Superlight by name and Superlight by nature and will store away easily in a locker. When you are ready for action the dinghies deploy in under 7 minutes with a foot pump, less with an electric pump so you will be on the water in double quick time.